I am quite sure that just about everyone will be able to identify with everyone’s favorite “pie chart”, who is known as Pac-Man. After all, he is the one who goes around chomping on pills with repetitive music playing in the background, and gains some sort of superhuman sense of courage that even the undead are terrified of when he munches on some power pills. 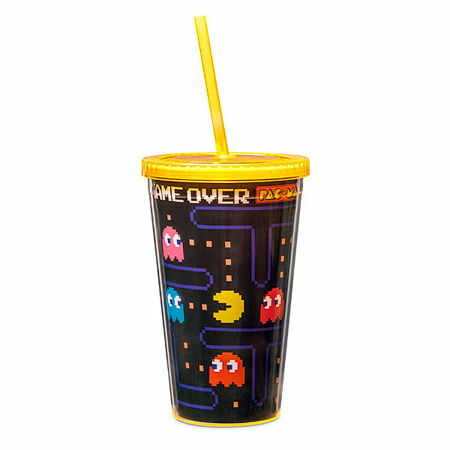 Hmmm, why not relive those moments in your brain with a physical object like the $9.99 Pac-Man Carnival Cup? 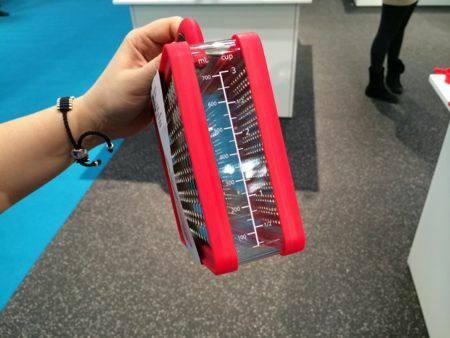 This is an acrylic travel cup that has been decorated with Pac-Man, while it sports a twist-off lid which will do its bit to prevent spills along the way.